Contact us to receive a custom Tiger Gaming rakeback deal after welcome bonus expires. To correctly set up your new Tigergaming account you must uninstall any existing software and clear cookies. Check the browser icons for more details. Click the "Download Now" button to start. You'll be taken to the website to download the poker software and create your new Tigergaming account. Please send us your Tigergaming Username you registered at previous step. Tiger Gaming is one of the premium brands of Chico Poker Network, one of the few US friendly networks in 2018. It has set high standards regarding funds safety, player experience and software quality. Tiger Gaming Poker is operating under a Curacao license since 1999. While it does not accept US players, the poker room is sharing the same player pool with BetOnline Poker, the US skin of the network. According to our Tiger Gaming Poker Review, the games are pretty soft within Chico Poker Network, due to the low rakeback scheme offered to grinders and the presence of US players, which both help maintaining a healthy poker ecosystem. Below you can find the main pros and cons you need to assess before registering your Tiger Gaming Poker account. Tiger Gaming VIP System works by earning Comp Points/VIP Points while playing cash games or tournaments. Unlike most other VIP systems held by other poker rooms, Tiger Gaming Poker does not offer any rewarding VIP system. Instead, players automatically earn Comp Points while they play which can be used to buy tournament tickets. So while they cannot be redeemed into cash, they can still be useful to entry some tournaments for free. To check which tournaments accept VIP points as initial buy-in, all you have to do is to go to your chosen tournament and try to register. According to our Tigergaming Poker review, in cash games, players receive 1 Comp Point for every cent paid in rake, while in tournaments, 100 Comp Points are awarded for every 1$ paid in fees. Therefore, for tournament players who play smaller tournaments which do not reach 1$ value in fees, Comp Points will not be awarded. Also, Comp Points are not awarded if the entry within a MTT is through VIP Points or a ticket. If you do not use the points, they will expire after a while. You should send an email at [email protected] to check the exact expiration date of your accrued points. While Tiger Gaming Poker does not use any classic VIP system to reward its players, there are various ways to earn rakeback within Chico Poker Network. First and foremost, new players are rewarded with a 50$ up to 1,000$ Welcome Bonus, which matches their initial deposit. The bonus is released in 10$ increments for each 5,000 Comp Points. Since 1 Comp Point is awarded for each 0.01$ paid in rake, this means that every time a player rakes 50$, he gets 10$ bonus installment. This counts for 20% rakeback by harvesting the bonus. To receive the bonus, which is not automatically awarded after deposit, players have to send an email at [email protected] with Bonus Code NEWTG written in the subject and their registered username in the body of the email. After sending the email, the bonus will be manually credited into their account in 48 hours. Players have 30 days to clear the bonus amount. Since the bonus is released in so small increments, you won’t have issues to remain with bonus increments uncleared. However, you need to adjust your deposit amount to the estimated rake you can make within a month, because to be able to harvest the whole bonus you need to rake 5,000$ in your first month. So if you think you will only rake 1,000$, you don’t need to deposit more than 200$. Of course, you will have to take into account not only the amount necessary to redeem the bonus, but also the bankroll you need to play your preferred stakes. From time to time, Tiger Gaming might also offer reload bonuses to its players. You should get in contact with us on skype: ID rakeadvisory to discuss with our poker consultants and be updated when this might happen and in which circumstances it does. Don’t remain silent, otherwise you will lose opportunities which you will further regret. We always try to make in-depth reviews of the poker rooms we promote, but we cannot always update the details for every single room. So you should be proactive and get in touch with us to have access to the latest and most accurate information. As part of the Welcome package, besides the First Deposit Bonus, new TigerGaming players will also take part into the 10,000$ Depositors Freeroll. Players who make their first deposit, will automatically receive a tournament ticket to this special freeroll. All they have to do to play the tournament is to login into the client lobby and register in the First Depositors Freeroll using the free ticket. The freeroll takes place in the second Sunday of each month, at 17:00 ET. Every week MTT players will take part into an exclusive challenge where they can share a prize pool of $5,000 by playing their favourite tournaments. Top 20 players within the weekly leaderboard will get free cash prizes, while top 100 players for each category will be rewarded with free entries to some exclusive tournaments. SNG Players will also get rewarded on a weekly basis by playing their favourite Sit & Gos. The prize pool is $5.275 and top 5 players for each category will get paid some free cash. In the table below you can check the exact payout for each category. Every weekend, TigerGaming hosts some major tournaments with guaranteed prizes of $130,000. This is a special occasion for recreational players to have fun at the tables and be excited, while for grinders to exploit weak opponents and get the massive cash prizes. Here is the schedule for the major Saturday and Sunday Tournaments. Bad Beat JackPot promotions are often offered by poker rooms to reward losing players who had bad luck by not winning the pot when they had a very good hand. To qualify for the jackpot, you need to lose with quads eights or better and join the special cash games tables with “star” next to the table name. The bonus is automatically paid after you hit the jackpot, which has no limit (similar to lottery prize pool). As part of Chico Poker Network, TigerGaming uses a weighted contributed rake formula, while rake percentage is fluctuating within an interval, between 2.75% and 5.5% of the pot value. Basically, TigerGaming charges 0.01$ rake for each 0.18$ in the pot. So if the pot is 0.35$, only 0.18$ is charged. According to our Tiger Gaming Poker review, we can say that the rake structure is low up to moderate in percentages, while the rake cap values are probably among the lowest ones in the industry. This probably compensates with the rather low rakeback plan offered by Chico Poker Network. If you also take into account the various bonuses and promotions, it might worth grinding at TigerGaming while harvesting the rake races and reaching high positions in the weekly leaderboards. The average rake for MTTs is 10%, while Sit and Gos have an entry fee of 10% as well, except HU SNGs where you only pay 5%. Of course, to know the exact fees for each MTT and SNG, you should enter the client lobby and try to register to check all details. As part of Chico Poker Network, TigerGaming shares the same player pool with the other skins of the network. According to Pokerscout, Chico Poker Network is still into top 15 traffic leaderboard, according to data provided by the network, with a weekly average of 450 Texas Holdem and Omaha ring games players and around 800 at the peak hours. TigerGaming is one of the few online poker sites with decent PLO action in 2018. By joining Tigergaming, you can play Texas Holdem and Omaha cash games, as well as take part into their multi-table tournaments and Sit and Gos. Having very few restricted countries, we can assume TigerGaming is part of a global poker network. However, being one of the few US friendly networks, the peak hours are during the night (European Time). As game formats for cash games, unlike other online poker operators, here you can find whatever you want, besides the classic 6-max format. Heads Up tables, as well as 4-max and full ring tables are also available. 9-max tables even have decent traffic in an industry where you can hardly find those games even running anymore. At the beginning of 2018, Chico Poker Network has also introduced a variant of fast poker tables, called Boost Poker. Therefore, players who enjoy this fast-forward format can jump faster from one table to another without having to wait too much for the cards to be dealt. Starting with NL/PLO10, the traffic is decent at micro up to mid stakes (NL/PLO200), where you can expect to find several tables running, thus allowing you to multitable. However, for higher stakes, you can hardly find any games running up to NL/PLO2K. Nevertheless, during US peak hours, you can expect to find one or two tables running at NL1K/PL1K or higher. When it comes to tournaments, TigerGaming offers plenty of games running, with several buy-ins or game formats, available for every bankroll and preferences. However, big guaranteed tournaments are usually happening in the weekend, when you can play major Saturday and Sunday MTTs. We have already covered this topic within our review. Sit and Go tournaments are also offered for both Texas Holdem and Omaha in several formats, from Heads Up, to 6, 9 or even 10 players, with buy-ins ranging from as low as $1.50 up to $215. A similar variant with the Twister SNGs offered by iPoker has also been recently introduced by Chico Poker Network and it is called Windfall. It is played in a format of 3 players and it combines initial buy-ins amount with the random factor which might occur from time to time. Thus, the prize pool is between 2 times the initial buy-ins up to 2,000 times when you got lucky. This adds a lot of excitement to the game and makes it a preferred option by amateurs and gamblers worldwide. As most of Chico's traffic comes from US and Canadian players, games run in USD. Being part of the reputable Chico Poker Network, TigerGaming has proven its safety and reliability as an online poker room, operating since 1999. Moreover, they have an internal cashout policy which guarantees the payments are made in due time. Otherwise, they will double your withdrawal amount. However, it is pretty obvious that TigerGaming targets mostly recreational players and low up to medium stakes grinders, since they impose an upper limit for both deposits and cashouts. Thus, it seems there is a maximum weekly withdrawal limit of $5,000 while players can cashout up to $15,000 on a monthly basis. The same things happens for deposits as well. In the table below you can see the minimum and maximum deposit amounts for the most used payment methods. As you can probably notice from the table above, TigerGaming uses three popular cryptocurrencies: Bitcoin, Litecoin and Ethereum which also have the highest deposit limit, $25,000. Cryptocurrencies have begun to be widely spread in the online gaming industry, being used by many online poker operators in the last year. TigerGaming Software is available in both Windows and MAC desktop versions, which can be downloaded to install the client lobby. Alternatively, players can also join the Flash in-browser play. Moreover, TigerGaming also runs a mobile version for Android devices. Unfortunately, Tigergaming software does not directly support poker trackers. However, players can opt to acquire a Hand Converter which might give them the chance to use HUD at the tables. Players who register via RakeAdvisory will get from us a 50% discount for getting a hand converter launched by Advanced Poker Tools. Regardless of what type of poker games you play, you can simultaneously open up to 8 tables at TigerGaming. So whether you are a Texas Holdem or Omaha grinder, you can easily multi table and mass grind at Chico Poker Network. TigerGaming offers access to international players, with very few countries restricted. Therefore, the usage of VPN is not required to access Chico Poker Network. Moreover, even US players who cannot directly register at TigerGaming, have the alternative of signing up one of the other skins of the network, such as BetOnline Poker, which accepts US players. The list is very small as compared to other online poker operators who have restricted players from many territories due to gambling laws. However, prior to your registration at TigerGaming, you should also assess your national legislation, to be sure you are allowed to play at Chico Poker Network. 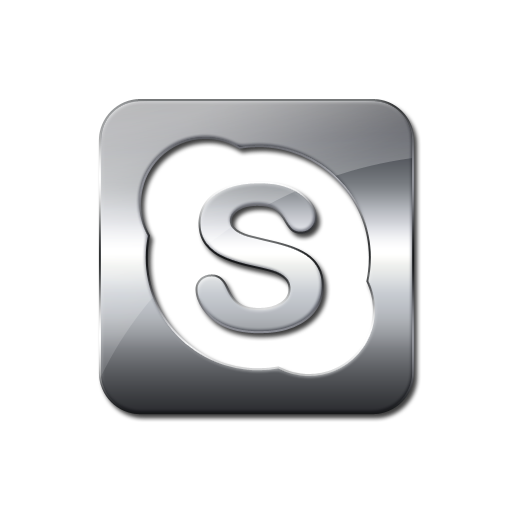 If you need any help or need any advice, you can always contact our poker consultants on skype: ID rakeadvisory who may assist you with you query and offer valuable information for free.